If you want to monitor or track your fitness and diet goals, using your smartphone is an ideal way to do it. Because your smartphone and apps are always with you, they are a constant reminder to check in on your progress, stay the course, and keep your motivation up, as well as actually tracking you, rather than having to wear a smartband at all times. Whether you’re looking for an app to keep you motivated, track your activity levels and weight loss, or actually provide you with workout plans, we’ve found 12 of the best fitness apps to help you keep fit. If you’re looking to do something new fitness-wise, and want to meet new people who’ll motivate you in the process, Gritness can help, finding group fitness activities near you, as well as allowing you to create your own. 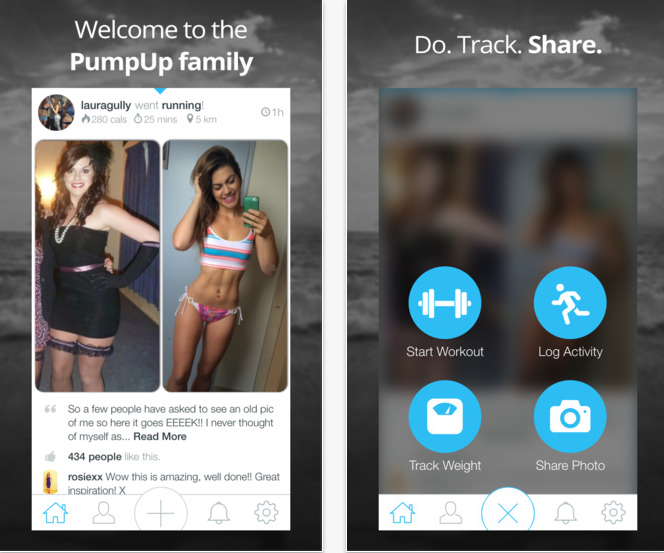 Individuals and business owners alike can create an account for free and, whether you’re working out solo or looking or trying to find like-minded people to help with fitness goals, this app is for you. There are tons of London-based ones when we looked, but the only annoying thing is that you can’t seem to see the results by distance, only day and time. You can download Gritness on iOS or Android here. 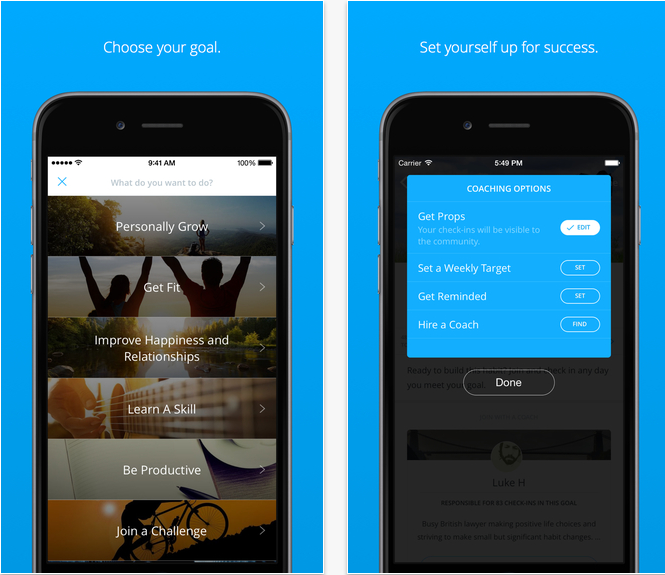 Formerly known as Lift, Coach.Me lets you set a goal you want to reach, and then comes out with daily tasks you need to accomplish in order to work up to achieve your goal. It will also help you track your progress and let you connect with c community for support and advice. For an extra price, starting at $15 (£9.81) a week, you can also buy pre-made plans, designed by coaches who provide assistance throughout, in a one-t0-one format. You can download Coach.Me for free on iOS and Android here. You really wouldn’t think losing weight is as simple as writing down what you eat constantly, but it really is. I’ve been using the app religiously for nearly four weeks now, and lost two pounds (and that’s even after lying to MyFitnessPal about the amount of alcohol I drink). It’s a really simple app that allows you to type in how many calories you eat throughout the day, and already has chain restaurant’s calorie counts locked in, so great if you eat out a lot. The more regularly you use it, the more likely you are to change your eating habits to keep to the calorie goal it sets you. 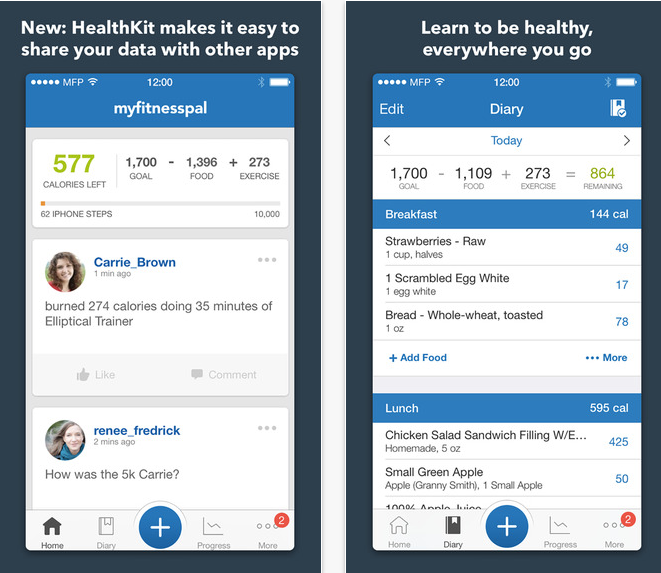 MyFitnessPal is available to download for free on all mobile platforms here. Moves acts like a smartband, and automatically tracks any walking, running or cycling you do, telling you how far you’ve walked, where you’ve walked and how many calories you’ve burnt. What’s fun is that it also tells you how much moving you’ve done while dancing in a club! You can download Moves for free on Android and iOS here. 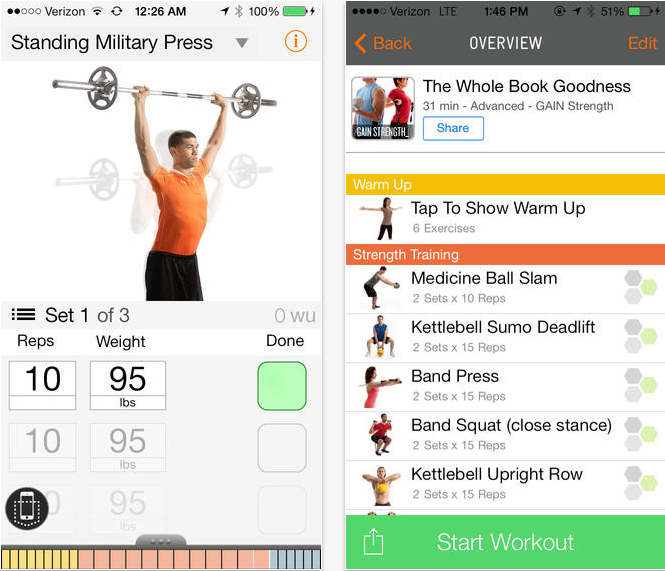 Pump Up creates workout schedules for you based on the equipment you already have. It will also let you track your weight and activity, as well as post photos of your food and weight loss to the online community, for moral support and motivation. Pump Up is available to download on iOS and Android for free here. Former NFL player Tony Gonzalez aims to inspire you to get fit in FitStar. The free app contains ‘Basic’ workouts designed to inspire you to move more, whereas a Premium subscription, for $39.99 (£26.18) a year, gives you more program options, such as ‘Get Strong’ and ‘Get Lean’. No equipment is required for these workouts, so you can complete them at home, at the gym, or on the road. When you first use the app, it runs you through a fitness test so that when you get rolling with your workout plan, you start at an intensity level that’s right for you. 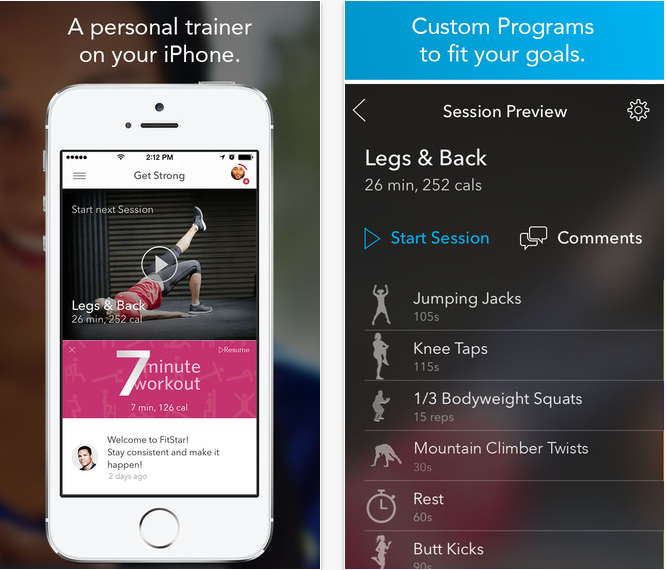 FitStar Personal Trainer is available to download on iOS for free. GAIN Fitness is a workout coaching app and website that lets you set and schedule routines for exercising at the gym, at home, or on the go. You can set your workouts to use equipment, like weights and stretching bands, or not. 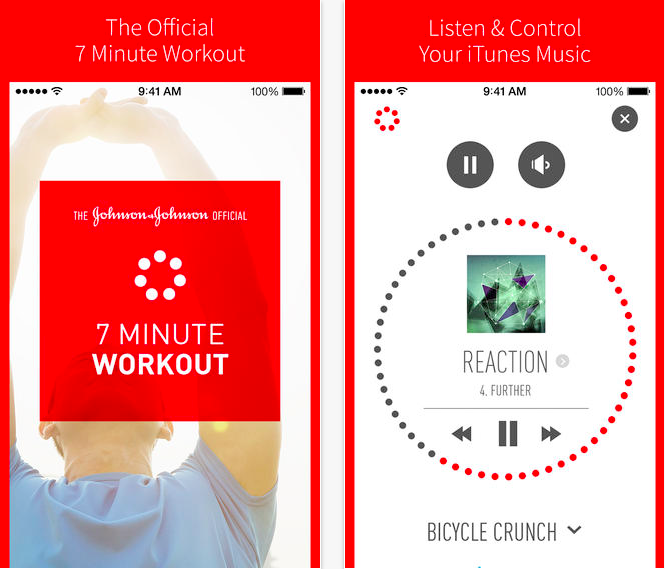 The app plays video and audio as you work out, counting you through reps as you go. The free version of the app includes enough sets of exercises for total body workouts, but if you want to to target specific areas of the body, additional workout packs are $2.99 (£1.96) each. You can download GAIN Fitness on iOS for free. If you’re one of those people who complains about not having enough time to do exercise, the 7 Minute Workout is perfect. All you need is a chair and seven minutes, and you choose your intensity level. The app coaches you through each move as it comes up in the workout. It’s a great app for people of all ability levels. The Official 7 Minute Workout is available to download for free on iOS or Android here. 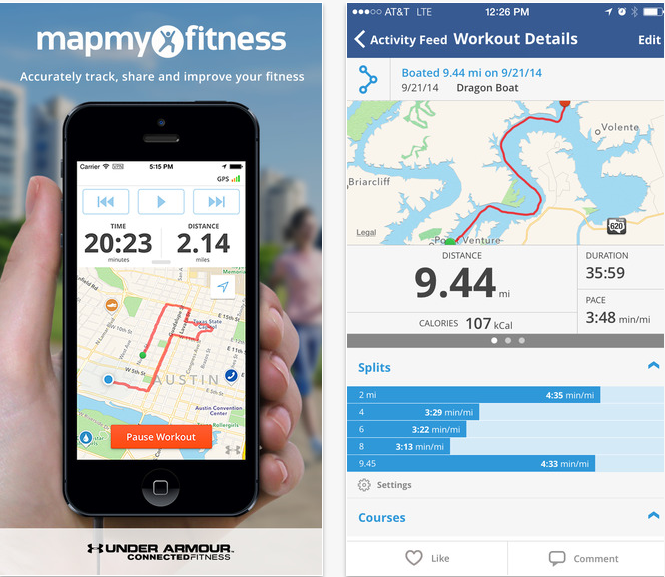 Like Moves, Map My Fitness uses GPS to track the routes you travel, and shows you a map of the ground you covered when you’re done. It also displays length, in both time and distance, as well as pace, maximum speed, and a few other statistics. 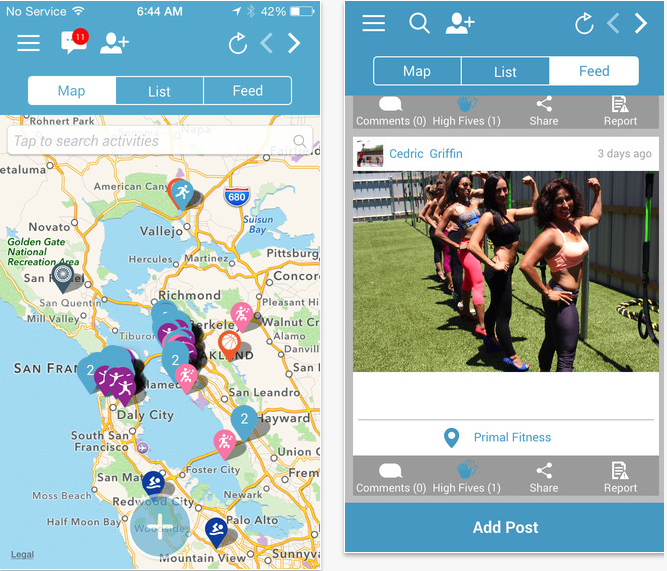 Map My Fitness is available to download on iOS, Android and Blackberry here. The Runtastic Six Pack Abs app will leave your midsection muscles burning for days—or simply tighten that tummy, depending on the difficulty level you choose. 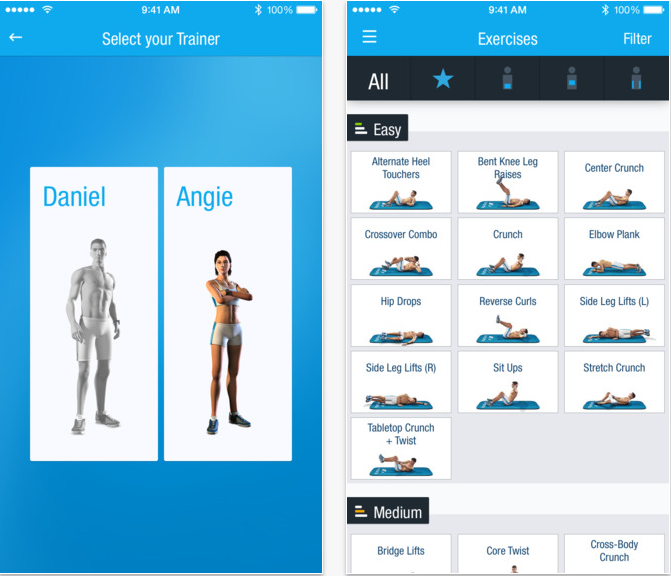 It’s a solid coaching app that targets abs through a wide variety of exercise moves. A human voice counts through your sets and reps, while a video of an avatar shows you the correct form for each exercise. Some of the training programs are weeks long, and there’s plenty of variety along the way. Runtastic Six Pack is available to download for free on iOS and Android here. Pact allows you to wager money on whether you’ll go to the gym or complete a workout, and makes exercising very competitive. The app verifies if you’ve hit your goals by making sure you check into the venues where you said you’d pump some iron. If you reach or exceed your goals, you earn cash. If you don’t, you have to pay up. The pot is communal, and there are a lot of slackers out there pouring money into it. 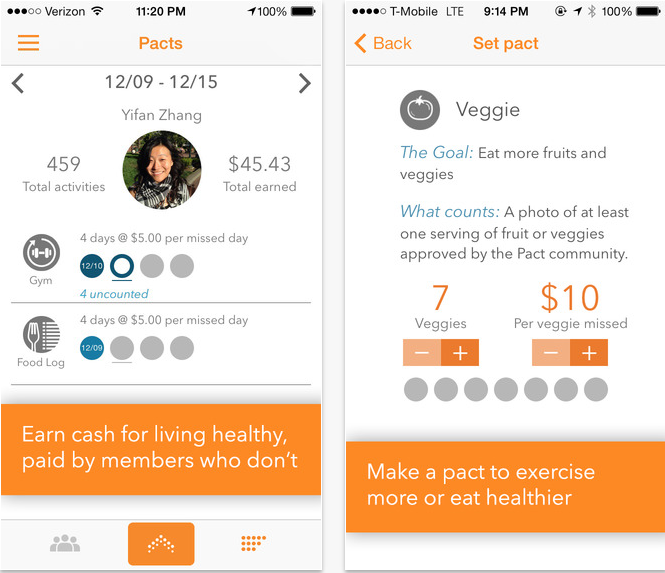 Pact is available to download on iOS and Android for free here. Although this app costs, it’s the only one that turns running into fun(ning). Zombies, Run! 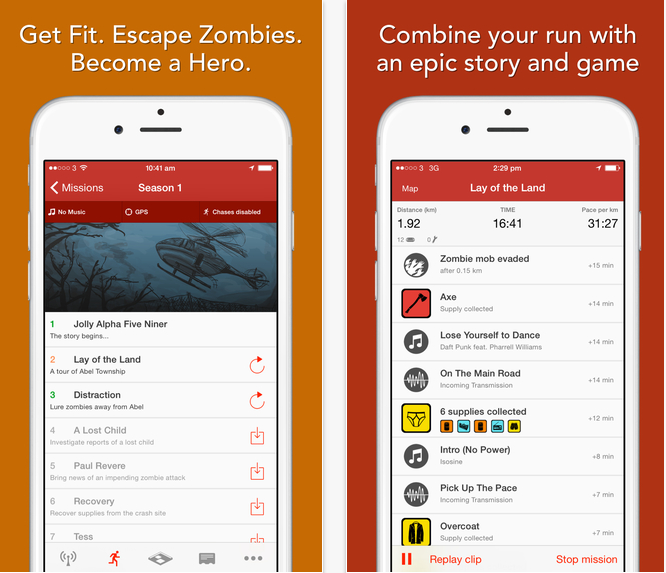 is an audio adventure and game rolled into a running workout. You listen to a story through your earbuds about zombies—which may be right on your tail!—and keep running to complete missions as they come up in the story. 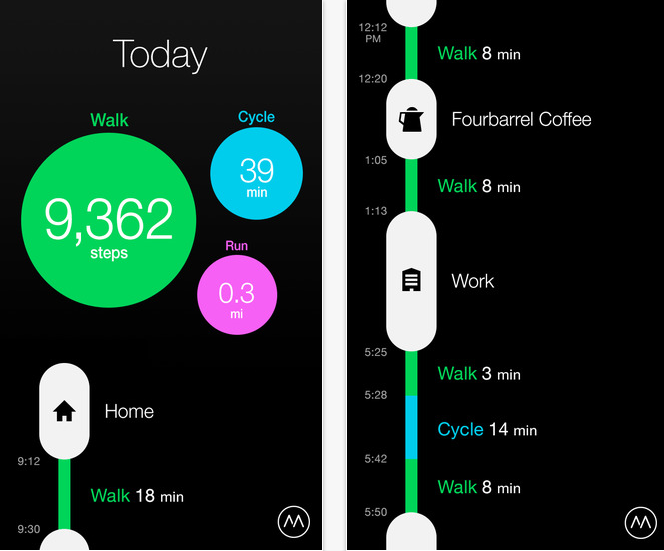 This app aims to motivate you to move, and it works! Zombies, Run! is available to download for $3.99 (£2.60) on iOS and Android here.